This week we salute Tom "wild man" Struntz and Melissa Kolbow. 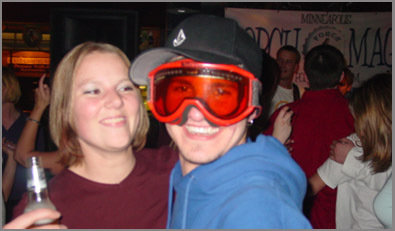 Struntz enjoyed wearing ski goggles on the night of our gig at Plum's in St. Paul. Melissa didn't seem to mind...They are this week's Fan Pic of the Week!